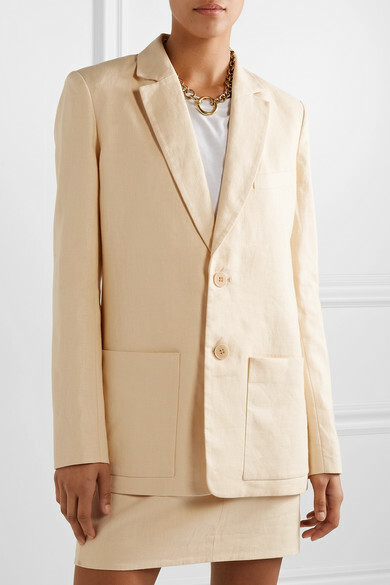 Tibi's blazer is made from linen in a pretty peach hue that the brand calls 'Biscotti'. 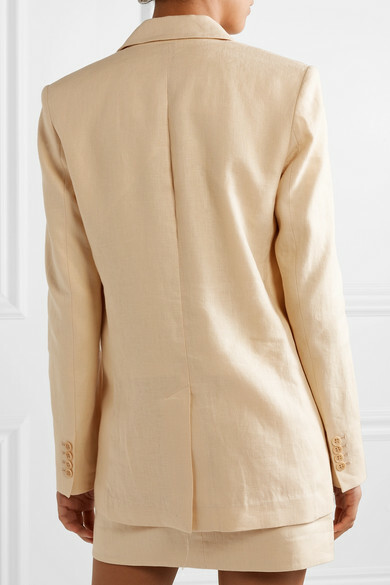 This oversized style has gently padded shoulders and buttoned cuffs that give it a classic feel. 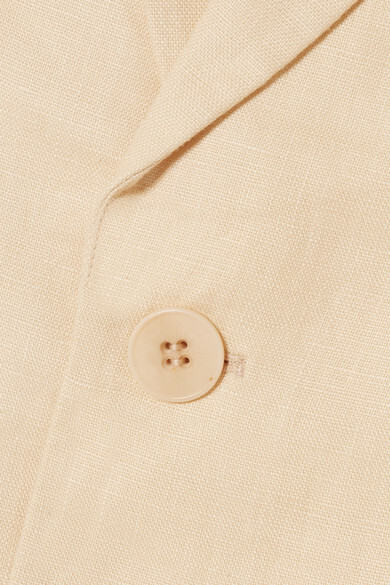 Wear it with the coordinating skirt, or jeans and a tee. Shown here with: Victoria, Victoria Beckham T-shirt, Chloé Tote, Tibi Sandals, Laura Lombardi Necklace, Isabel Marant Earrings.